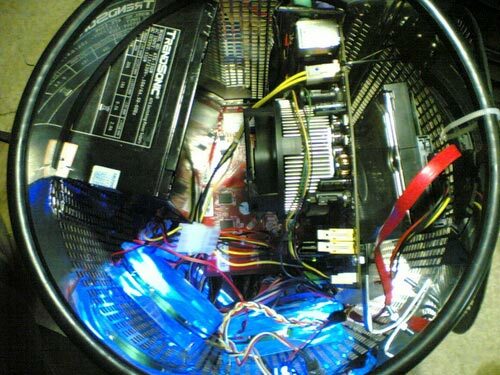 Check out this fun PC case mod from moder aceedee. 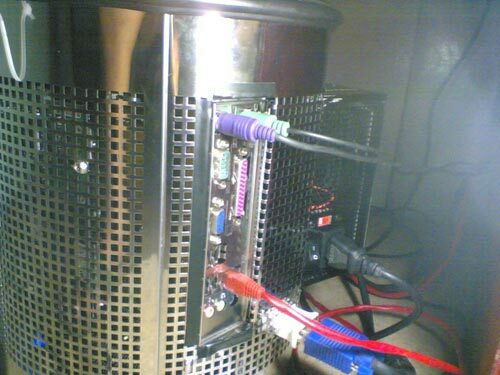 This clever moder managed to get all the PC components inside a standard stainless steel trash can to produce this fun mod. 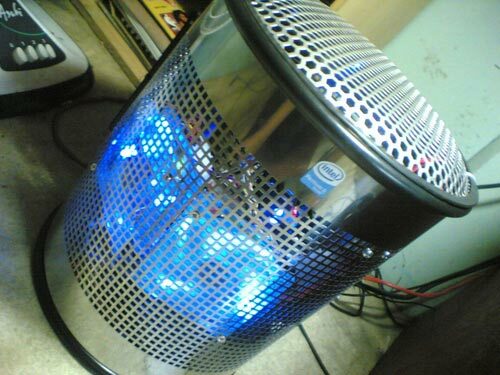 This is a very clever mod, using a simple trash can to create a really striking looking PC case.